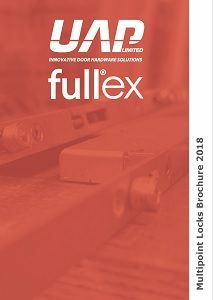 The Fullex Gemini makes composite or timber double doors simple. 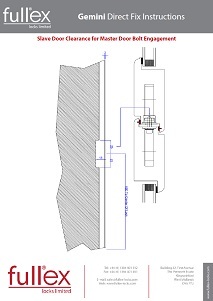 With both master and slave lock mounted on hard wearing aluminium extrusions that mount on the door edge, fitting is simple. 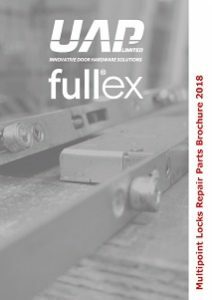 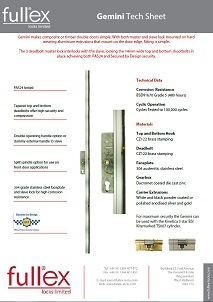 The Gemini Double Door Locking System includes a 3 deadbolt multipoint lock for use on timber or composite double doors. 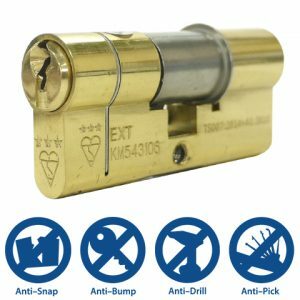 The master lock, with its 3 deadlocks, interlocks with its matching slave unit, locking the top and bottom shootbolts in place to create tight compression and a secure seal. 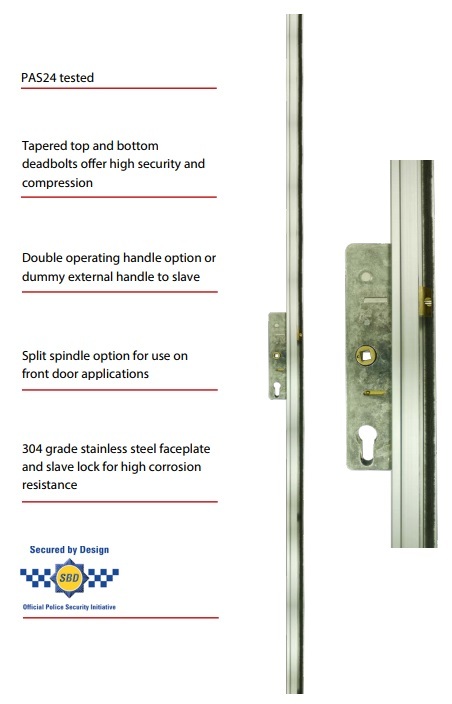 Both master and slave lock are either mounted on hard wearing aluminium extrusions or directly on to the timber sashes. 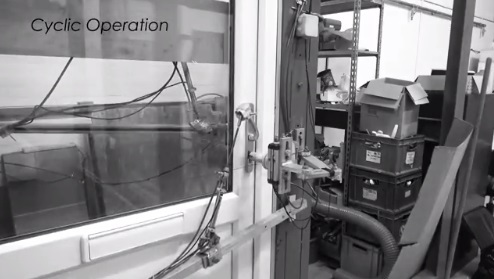 This ingenious system works by using a hard wearing aluminium extrusion which is fitted onto the edge of each door. 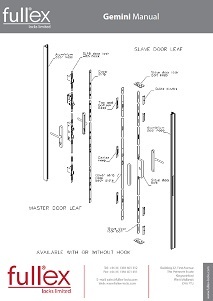 It is fitted to both the slave and master unit, and when the door is locked it forms a rebate, meaning that the two doors overlap with each other, sealing the two doors.